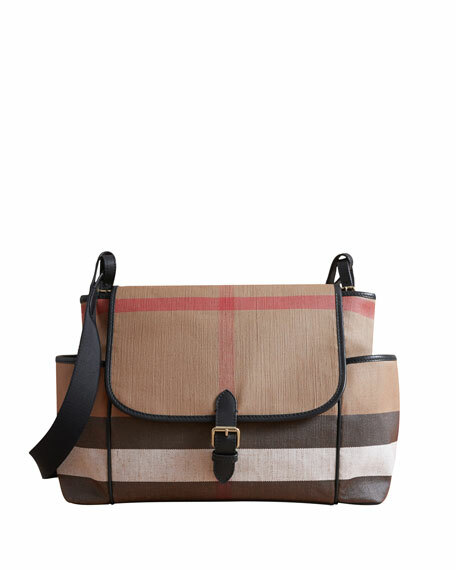 Burberry check canvas diaper tote bag with leather trim. Flap with magnetic closure conceals open top. 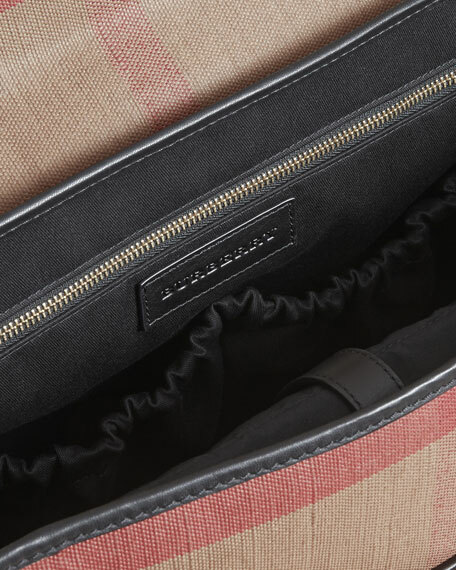 Interior zip pocket and elasticized compartments. Approx. 11"H x 16"W x 6.5"D.
For in-store inquiries, use sku #2331600. 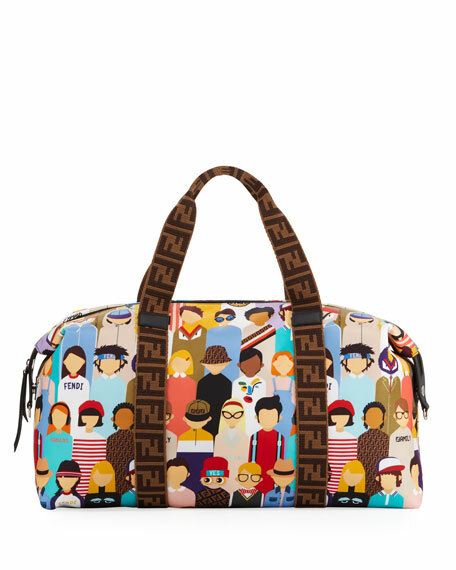 Fendi diaper bag with FF logo patch at front. 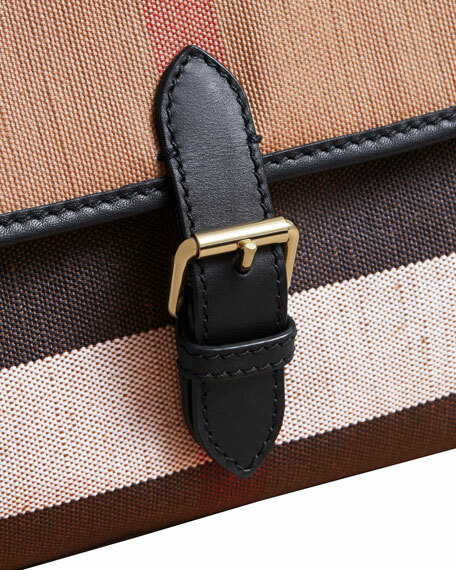 Removable, adjustable FF jacquard shoulder strap. 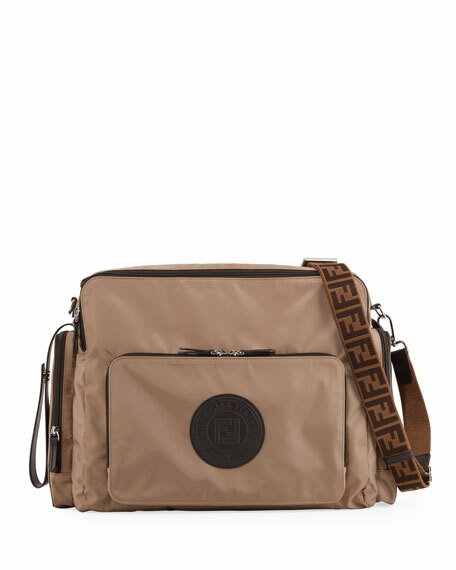 Zip around top closure. Front and side zip pockets. Nylon/polyester/polyurethane fiber. Made in Italy. 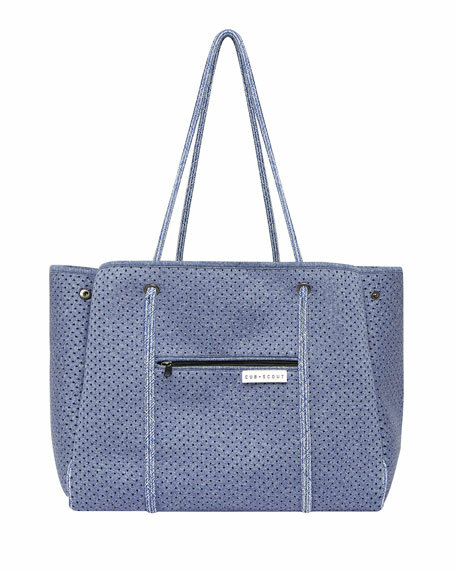 Milly Minis diaper bag with leather detail. 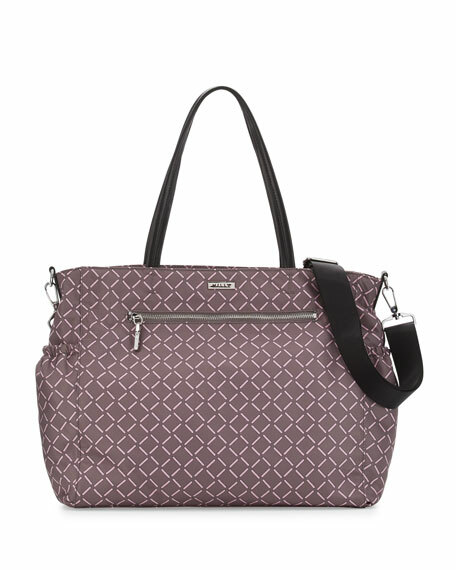 Adjustable, removable shoulder straps; flat top handles. Zip top closure. Exterior zip pocket at front with logo. Elasticized side pockets. Interior open pockets. Imported.